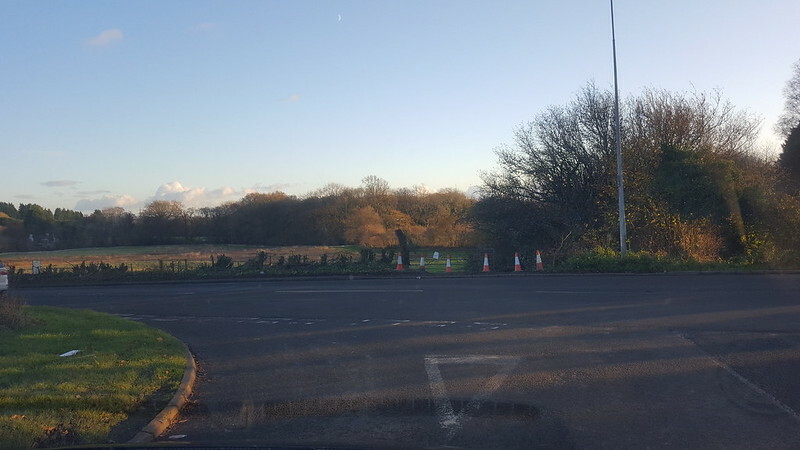 Dr O wrote: Signs are up for developments at J33 (The Parish? ), some new traffic lights on the roundabout seem to be the only actual work happening so far. 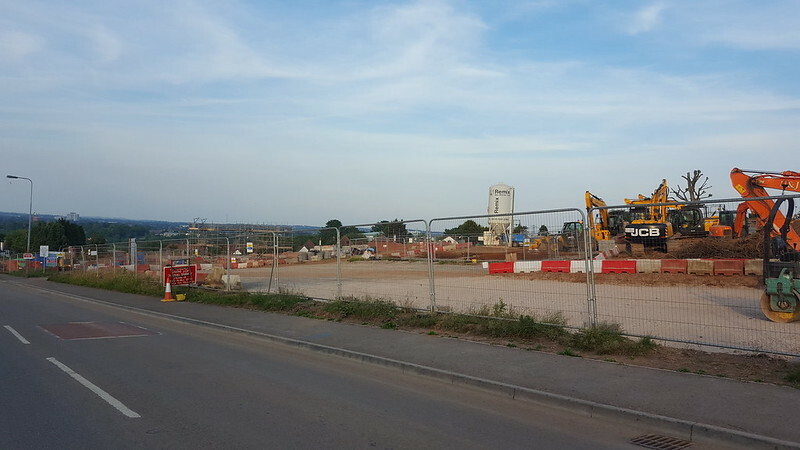 Dr O wrote: I passed the paper mill a couple of weeks back and what's presumably the show home & sales centre were nearing external completion, plus a handful of other homes starting to rise. At the other end the roadworks by Ely Bridge were should be done by now, anyone been past? New access road is finished, I think the work around ely roundabout at the moment is part of tying it into the new link road (street lights, pavements widening, crossings etc.) should probably see some actual construction at this end in the next few months. There isn't really much to see on Plasdwr - the ground has been churned up and there is plenty of on site activity installing sewers and other facilitating work but nothing in the way of homes yet. Scaffolding has been erected to allow the building of the first home (presumably a show home) fronting onto Clos Parc Radyr, should just about be able to see that towards the back of the shot. murfilicious wrote: There isn't really much to see on Plasdwr - the ground has been churned up and there is plenty of on site activity installing sewers and other facilitating work but nothing in the way of homes yet. Nothing much going on but you get an idea of the scale of it all - that is a lot of diggers and I can see up to 20 houses being built simultaneously when this gets properly underway. This area of the city will shoot up. 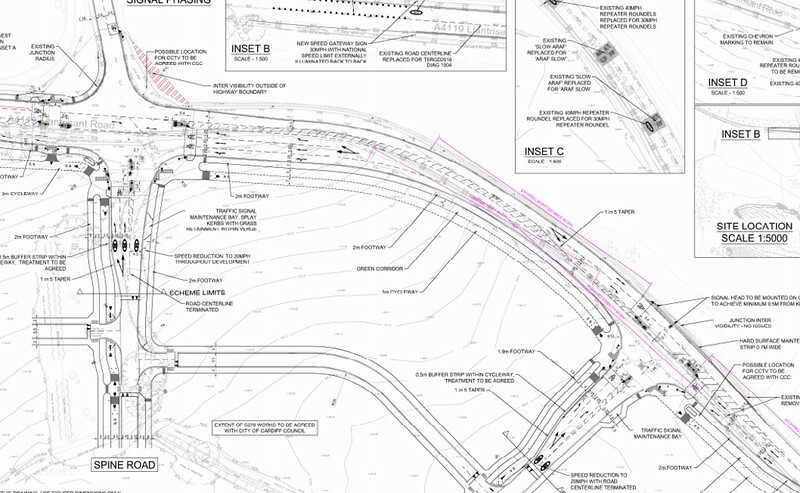 These junctions will link to the new housing states leading down to Junction 33 (although I don't believe there will be any car link straight through to J33...). Cardiff is going to have a massive footprint for what is a relatively small city. The London Plan - which details how London will grow over the next 25 years - has just been published. What is striking is that each node of growth in employment/housing has detailed plans for how it will be served by public transport. With regard to Cardiff’s growth, we discussed this to death five years ago in the old forum and I was very insistent that Mark Barry (the guy behind the Metro) should explain why there were no certain plans to either have a station on the existing line at St Fagans or to reopen the Creigau line. He never posted again (under his username anyway - I suspect that he does still post under another username) and the debate dropped away. I no longer live in Cardiff West (and I cycled/walked 99% of the time anyway) but I pity the fools who buy in Plas Dŵr believing that they will have an easy commute by car or bus into the city centre. 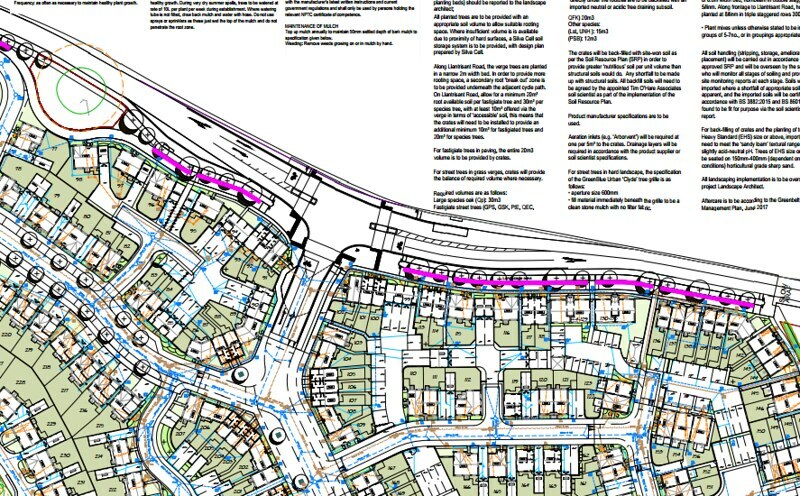 Of course, Bus Rapid Transit may rear its ugly head again and provide a temporary sticking plaster, although the denizens of either Cathedral Rd or Cowbridge Rd East will find it difficult to park, drive and cycle if BRT routes are realised. What the London Plan shows is that it is possible to have the people in charge of running a city, and planning its future, to actually love that city and cherish its quality of life. In London they aim to improve the city while allowing it to grow. Unfortunately in Cardiff we had amateurish, deluded muppets willing to kill the golden goose while paying lip service to notions of sustainability. Of course, the developers and landowners will make billions in profit and some of that dosh will have found its way to the pockets of decision makers. How very provincial. Capital city? Ha! 532 pages. Feel sorry for any developer thats got to look at that! Mr Blue Sky wrote: The London Plan - which details how London will grow over the next 25 years - has just been published. You can't compare London and Cardiff, I'm sorry. The growth nodes identified in London are often former industrial sites that are already situated close to rail and tube links. In general, I think we're talking about expanding stations, new stations, increasing frequencies of trains etc. And given both the higher property/land prices (so greater planning gain to 'tax'), and the existing dense populations surrounding the growth nodes that can also make use of such improvements, such plans are more financially viable than they are in Cardiff. Is that the best you can do? That’s an economist’s answer, I suppose. But you are wrong; I can compare London and Cardiff - I just did! In Cardiff they are building tens of thousands of homes without adequate public transport provision, which will lead to a reduced quality of life for the existing residents. In London they are building the infrastructure (HS1,HS2,Crossrail, Northern line extension to Battersea) before the homes are built, IMPROVING the quality of life for the existing residents. And your argument that building on brownfield in London is more financially viable than building on green fields in Cardiff is laughable; the remediation costs for brownfield - and the cost of the land itself - far exceed the costs of purchasing agricultural land. Redrow makes 20% profit on each home it sells and these new ones look to be selling for around £350,000 each. 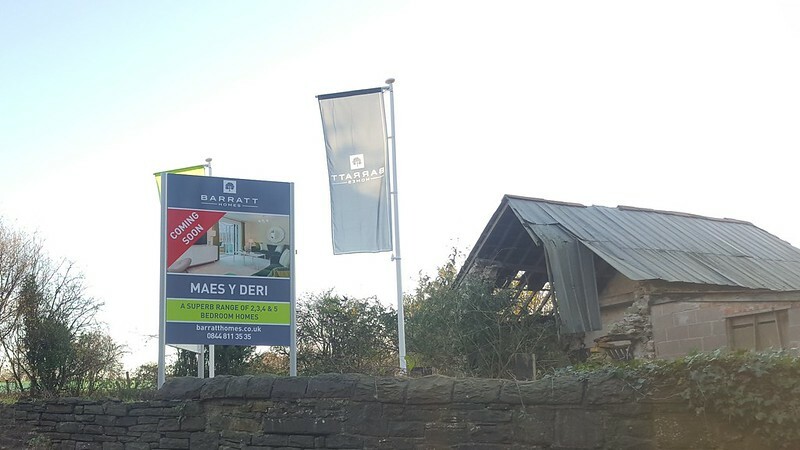 If 20,000 homes are built on Cardiff’s informal green belt then, with £70,000 profit on each house, https://www.ft.com/content/a13b05e2-920 ... d2f0ebb7f0 that’s £1.4 billion profit for the lucky developers just for throwing up houses on the outskirts of Cardiff! And the landowners will pocket billions too, in profit. So, say that about £3 billion profit is being made buildings homes on Cardiff’s green fields by the developers and landowners. If Cardiff were able to tax that at the rate of corporation tax or capital gains tax we would have more than enough to build a couple of light rail lines serving the east and west of the city. This construction may well happen eventually, through the city deal, but what seems likely is that the funds for the Metro will be swallowed up by electrifying some existing lines and intergrating/branding existing services. I really don’t understand why you can’t grasp this very simple point - all the new houses mean that Cardiff’s roads will be clogged up, pollution will increase and quality of life will reduce. All this could be avoided if a small share of the free money that Redrow et al are making were to be diverted into improving the public transport infrastructure beforehand- like they do in London, where you live.